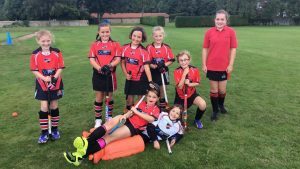 Junior coaching takes place every Sunday from the beginning of September through to the end of April on the astroturf pitch at Ipswich School Sports Centre. The 2018-19 season starts on Sunday 9th September 2018 for U8, U10 and U12. U14 starts on Sunday 16th September 2018. All training is 9.30am-11am. There is an annual membership fee of £60 per child, with discounts for each additional child from the same family. There is also a £2.50 session fee per child payable on the day. Existing members can review/amend their details and renew their memberships by logging into paysubsonline.com with their existing accounts. An email reminder will be sent round before the start of every season. 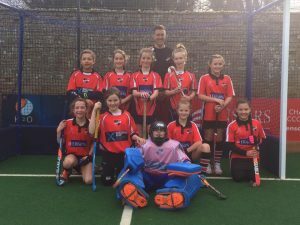 We have a dedicated team of coaches for our junior section, including coaches from our men’s first team who have gained many years experience at national league level. Our coaches hold a range of hockey level 1 and 2 coaching certificates. In addition to Sunday coaching we also hold academy training at Ipswich School Sports Centre for those aged 13-17 years old. We will do our very best to make sure that your child is safe – however injuries can occur and whilst at a junior level they tend to be minor there are some steps that you can take to make sure that your child will be safer. No child will be allowed to either train or play in a match without shin guards – they are an essential item. We would strongly advise a mouth guard for tournaments as the ball can easily fly up. If you would like advice regarding how/where to purchase one please speak to any of the coaches on a Sunday morning. A left handed glove is also helpful to protect the hand (Not a woollen one but a padded hockey glove). The pitches should not be played upon before the coaches arrive as it is easier for accidents to happen. Please wait outside the fencing if we are running late. Children under the age of 10 will not be allowed to walk home alone – they must be collected from the side of the pitch. What sort of clothing should my child wear/use? When it is cold – it is a good idea to wear something warm around the legs such as tracksuit bottoms with long sports socks to the knees to help with the shin guards. Also a T-shirt and a sweatshirt (at least until they have warmed up a bit). The clothing should not be overly fussy or have buttons etc that can get caught on others clothing or detailing that they could land on and hurt themselves on. Plain T-shirt’s/Tracksuits/Shorts etc are perfect. Training will continue when there are showers of rain (Not heavy downpours!!) so please supply a lightweight jacket to wear in this eventuality. Will IES Juniors be involved in tournaments? 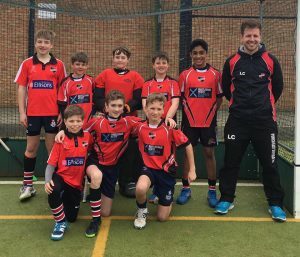 Yes – definitely we were involved in the Suffolk tournaments last year and there are a few stand-alone ones as well that we are planning to be a part of. We have also been invited to take part in some ‘friendlies’ with other local teams to Ipswich. We are hoping to build on our successes from last year and look forward to a fruitful season. Whilst we aim to win at tournaments – good sportsmanship/manners are the most important attributes we can bring. We expect to see this behaviour mirrored both in our young players on the pitch and the adults on the side lines. Adults can play vital role models in the way that they encourage the youngsters – positive shouts rather than negativity are what the children need to hear . Foul language is totally uncalled for and will not be tolerated both by the club or the League Governing Bodies. We are currently ‘head hunting’ for individuals willing to take on the role of collecting the monies week by week, completing the register, first aiders and being a general help on the side of the pitch! Does this sound like something you would be willing to do? Are you a player – would you like to help on the pitch? We will always welcome anyone who would like to help out with teaching/coaching (Obviously subject to Criminal Records Bureau Checks that all leaders over 18 years will be subject to).